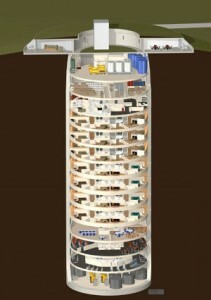 Atlas Missile Silo turned into Luxury Survival Condos. 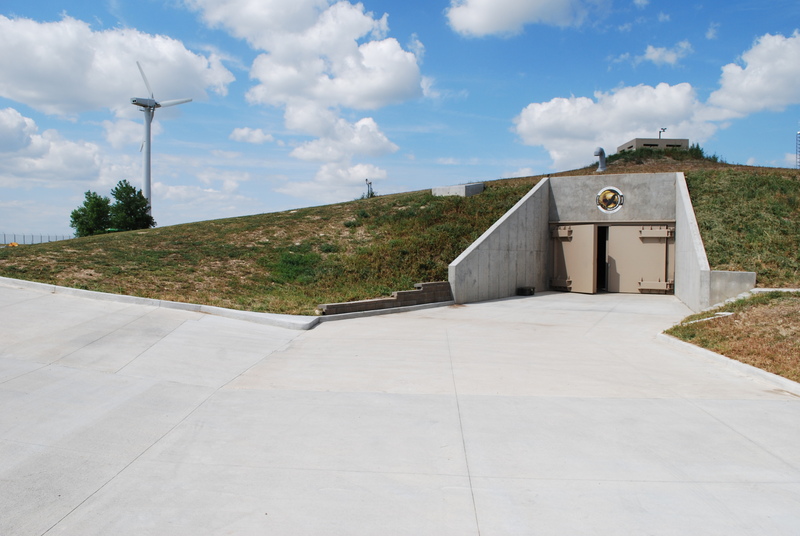 Survival Bunker Security / Full Luxury Resort Living. We are now taking contracts on our second Survival Condo Facilities. – approximately 920 sq. ft. on one level starting at $1.5 Million USD. We also have the capability to customize an entire silo complex for a single buyer. A finished complex can have anywhere from 50,000 sq. ft. up to 300,000 sq. ft. Contact us for available locations and pricing. NEWS: The first Survival Condo Project is completed and sold out. The second Silo is now under construction. We’ve sold out the first silo and we fully expect to sell ALL units in our next silo fast. If you are interested in securing one of our Luxury Survival Condos, and you are financially able to do so (a 1/2 floor unit runs $1.5 million and a full floor unit runs $3 million), fill out the form here. Act now because this is a VERY limited opportunity to get total “life assurance” for you and your family in the event of just about any major crisis. 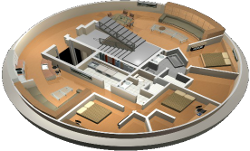 The Survival Condo is an engineering marvel designed for comfortable long-term survival in a former Atlas missile silo. It offers spacious condos with many amenities including luxury living space and a community swimming pool, dog walking park, rock climbing wall, theater, general store and an aquaponic farm, among other features, all of which are underground and encompassed by walls that are 2.5 – 9 feet thick. A survival condo is a facility that offers individual ownership of a residential unit within a superstructure that offers the highest level of physical protection, redundant infrastructure for power, water, air, and food; as well as “shared or common” facilities for extended off-grid survival. This definition also includes the concept of the individual owners forming an “extended family” where everyone shares the responsibilities for group security, operation and maintenance of the facility, new daily functions for education, cross training, aquaponic farming, medical support, and as many other tasks as possible to create the highest quality of life for the “extended family” while operating in “survival mode”. 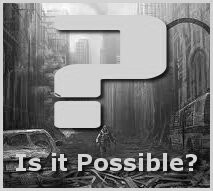 We believe that given the present worldwide economic conditions, historical disaster evidence, and the obvious signs of global climate changes; that it is prudent to have a “disaster plan and shelter” in place should a need for it occur. Our designs include planning for: physical protection, psychological design considerations, advanced technology, and the concept of an extended family with diverse backgrounds. We are not looking for stereotypical “survival nuts” portrayed in movies, but rather like-minded individuals with the desire to provide care and protection for their family. We seek people with the financial resources, interest, education, experience, and desire to participate in the shared tasks of survival under difficult circumstances. We want people with good values and we will screen applicants for criminal backgrounds. To accomplish these goals we acquired an Atlas “F” missile silo through the Formerly Used Defense Site (FUDS) program and the site has been examined and tested by the State of Kansas, the Army Corps of Engineers, and the Environmental Protection Agency and was declared safe for development. The first Silo has been completed and is sold out, while Silo 2 is now under construction and only a few available units left. "We believe that given the present worldwide economic conditions, historical disaster evidence, and the obvious signs of global climate changes; that it is prudent to have a “disaster plan and shelter” in place should a need for it occur. Our designs include planning for: physical protection, psychological design considerations, advanced technology, and the concept of an extended family with diverse backgrounds." "By starting our project with a Formerly Used Defense Site (FUDS), we have a $120 million dollar head start. A competitor has to spend that much just to catch up, we can go dollar for dollar from that point on, but that is one heck of a head start on the value proposition". "This project has the advantages of letting the members own a piece of history, the coolness of a missile base, the protection of a nuclear hardened bunker, and the features of a luxury condo."